Even though people use Gmail email service regularly, People are unaware of different Gmail tips & tricks which are very helpful to manage your emails. Login to Gmail and organize emails now. This tips will undoubtedly improve your Gmail experience. Don’t have a Gmail account? Create a Gmail account now. Different categories and tabs will organize your emails in Gmail. If you receive any emails regarding update issue, you will find that email under the Updates tab. Any social network sites like Facebook, LinkedIn, Twitter, Gmail+, etc. and its news, notifications will be under tab Social. You can personalize your inbox background with any images. To change the background, tap on setting gear and click Themes. Select either default pictures or choose your one from My Photos. To make your inbox tab looking nice and clean, you can move unwanted emails by archiving. It moves emails out of the inbox, but you can get it back if you need it. Go to ‘All Mail’ on the left or use the search box at the top to find archived emails. On bunches of emails, it will be hard to get an old dated email. To hunt email you can use the Gmail search box, and click the gray arrow to filter. You will get suggestions as you enter your query in the search box, personalize with accurate information. If someone sends you attachments of documents or photos, you will get preview there on email details. To download and save those attachments to ‘Google Drive’ you can click on ‘Download’ gear and ‘Save to Drive’ respectively. One single click on the attachments will allow opening its review. You can organize different categories by dragging and dropping emails to among the following categories like Promotional, Updates, or Social. It will help you find them later. If you feel any email important to you & don’t want to forget, you can start them. So it will be easier to keep track of them. Starred emails also appear in your primary tab. While composing an email, you can emphasize key points, color your text, make words bold. To use personalizing text style click, ‘Formatting Options’ icon symbolized as ‘A’. Once you email using an email address, you need not have to add to your contacts list for further use. They will automatically be added to the list. Whenever you start sending an email, just type their name or first letter in the To: bar, Gmail will figure out the rest. If you are busy with your work or don’t want to check inbox frequently or don’t want to miss an important email, you can make it personalized by turning on desktop notifications. You will be notified on your desktop with fewer details. Go to settings, click, and scroll down to the vacation responder column. Choose your preferences and edit it. If you caught yourself for a typing mistake or anything wrong on email, enabling ‘Undo send feature’ will help to hold sending the email. To activate the feature click ‘Settings’ and enable the ‘Undo send feature’. You can adjust your time limit. Typing your contact details, job title, and other relevant information each time on email can take a long time. You can set those details as your signature which will be used for all your future emails. To enable this feature, click on the Settings gear icon and scroll down to the signature column. Incoming emails can be filtered depending upon their importance to you and your work. Filtering can automatically archive, label, delete, star, and more. To start filtering emails type on the search box and click “Create a filter with this search,” and personalize your settings. While managing several emails, it is irritating clicking every email. You can select more than one at once. Hold down the Shift Key and check the box for the first message in the list, then check the box next to the last message still holding the Shift Key. Messages between those will be selected. It will be faster with keyboard shortcuts in Gmail. As ‘c’ for composing or ‘r’ for a reply. You can get much more shortcuts pressing ‘Shift Key + ?’ and turn them on to use. You can use Gmail without an Internet connection. Using Gmail offline feature you can read, label, compose, archive, delete, and more. 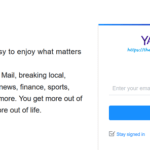 When you get the connection back with the internet, those offline activities will automatically be synced to your Gmail account. You can’t share file attachments larger than 25MB. But it will be automatically uploaded to Google Drive. A download link will be included in your emails instead. Hope these small tips will help you to use Gmail more efficiently. 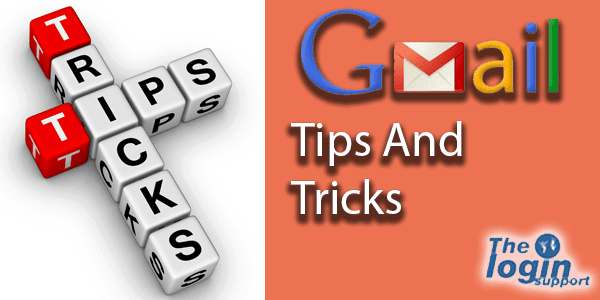 If you have any other Gmail tips & tricks, please do share with us, we will surely update our article to acknowledge. Are you using multiple email accounts for a different purpose? You can add your Yahoo, Hotmail/Outlook.com email to your Gmail mobile app. Open Gmail app > Menu > Tap your email address > Manage account > Add account. 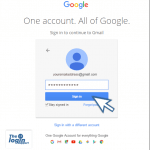 No need to sign out from existing account to login with a new Gmail account. 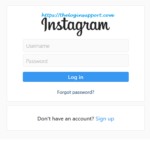 Click on your Account(profile picture) > Add Account. In Gmail, dot placement doesn’t change anything. [email protected] and [email protected] is the same address.